the Neapolitan aristocracy built other residences, giving life to the architectural phenomenon known as the ‘Golden Mile’. The renovation work to modernise the ‘Golden Mile’ started with the restoration of four cast-iron bases that now decorate the octagonal court of the Royal Palace. 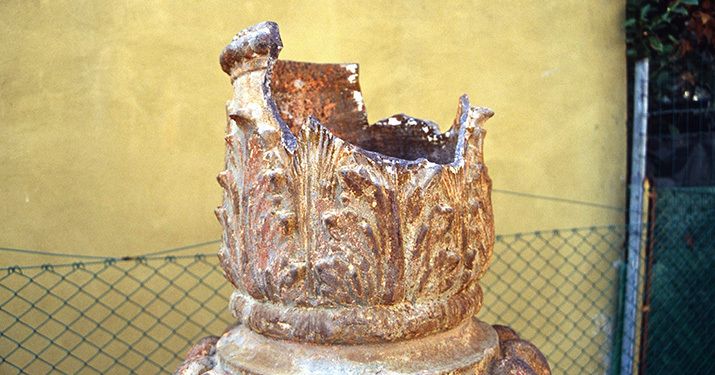 The bases were discovered in the Granatello area, where they had been abandoned, before being placed in the site of great historical significance following careful restoration work carried out by Neri. 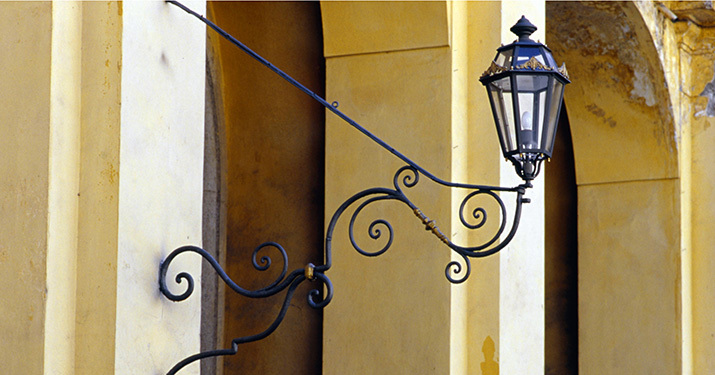 Also renovated in the Royal Palace court were eight original wall brackets dating from the first half of the 18th century: these iron ‘supports’ in which candles were inserted, are now functioning once again after the careful cleaning of centuries-old wax and layers of pollution. Neri supplied the ‘Light 700’ lanterns. Once the ‘Golden Mile’, Corso Garibaldi is today a traffic congested and chaotic arterial road that cuts through Portici, running alongside the noble palaces from the 18th century. For this arterial road, the project involved new lighting similar to the cast-iron bases placed in the Royal Palace. So that they could be placed in the rather narrow footpaths, the bases were reproduced true to shape, but reduced in size. The complexity of the decoration led to the construction of a mould divided into many parts, so that each of its component shapes could be successfully cast. The quality of the moulds is demonstrated by the castings made. Despite a heavily-changed urban setting along the ‘Golden Mile’, today it is still possible to imagine the sea view that was characteristic of every villa in the 18th century. From palace to palace, the entrance doors provide a glimpse onto a magical landscape. Today, the lamp posts decorate and illuminate the road, harmoniously accompanying the royal residences, many of which have been restored.